Muuto Pull floor lamp great design by WHATSWHAT. With black cable and black on/off switch. Suitable for your LED bulbs. Shade is adjustable in height by feeding the black cable. Designed by Stockholm-based design studio Whatswhat for muuto, the Pull lamp’s personality is both organic and distinctively true to its Scandinavian design heritage. The partly exposed, partly hidden cord is a connection between all elements while also serving as the mechanism to adjust the position of the shade. 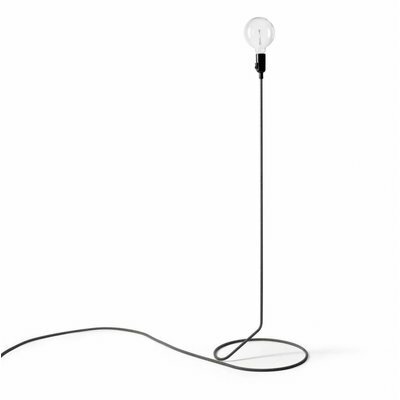 The user can simultaneously transform the angle of the light and character of the lamp by a simple adjustment of the cord. 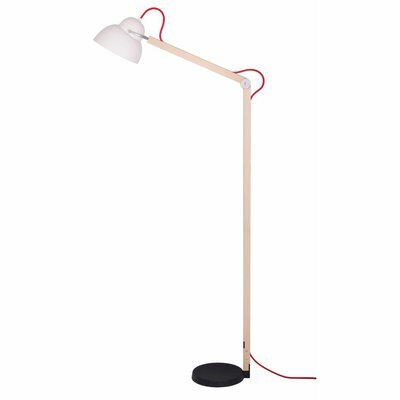 See product factsheet Muuto pull floor lamp.